This summer, MOCA is proud to introduce MOCA Music, a new and ongoing series of music at The Geffen Contemporary at MOCA in Little Tokyo. 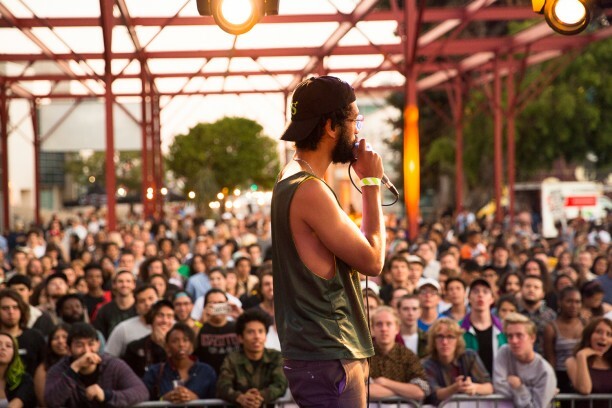 MOCA will be collaborating with Spaceland, who is among the most legendary presenters of new and emerging music in L.A., regularly producing events at The Echo, Echoplex, and The Regent Theatre in DTLA. Alongside the performances will be food trucks, drinks, and regular museum programming at The Geffen Contemporary at MOCA. The MOCA Music series is FREE.